In line with Thailand 4.0, the standard of the country’s technological and agricultural advancement, Chatuchak market will be turning into a cashless hub starting June 2018, says State Railway of Thailand Director for Land Development Siripong Preutthipan. The said vision has already included an app, Chatuchak Guide, which tells users where listed stalls are located; by category and stall ratings. According to Dir. Preutthipan, this innovation will make it easier for tourists to navigate their way through the market. As of the moment, there is an expansion of the cashless shopping in the said weekend market. Customers are allowed to pay for items using a single card or through QR code. He also said that retails will soon be able to export their products abroad on an order-by-order basis in order to cater to foreign markets. The SRT is also planning to spend more than 100 million baht on developing an automated parking lot in the vicinity. Each one is believed to hold 100 cars and will cost up to 40 million baht to build and operate. “The systems will comprise automated ticket dispensaries given out to vehicles as they enter”, says SRT Director Preutthipan. “Bidding for construction will begin mid-year, with the aim of making parking spaces available by year’s end,” he continued. 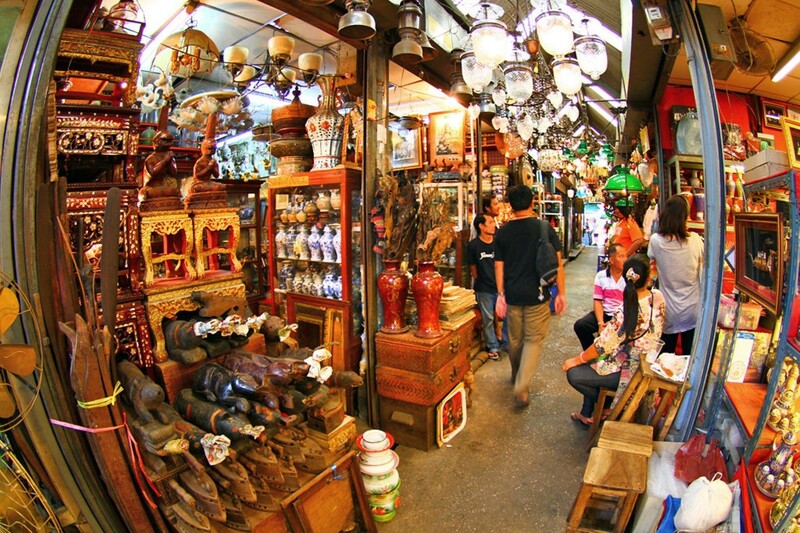 The toilet rooms in the Chatuchak market compound will also be getting a drastic facelift as this project is gaining traction, with the SRT talking to private first for the construction rights. “When completed this year, the lavatories will cost 10 baht”, Director Preutthipan explained. As of the moment, there are 8 lavatory locations around the market costing 2 baht for use. The lavatory upgrades would be costing up to 25 million baht and would go for bidding in March 2018.